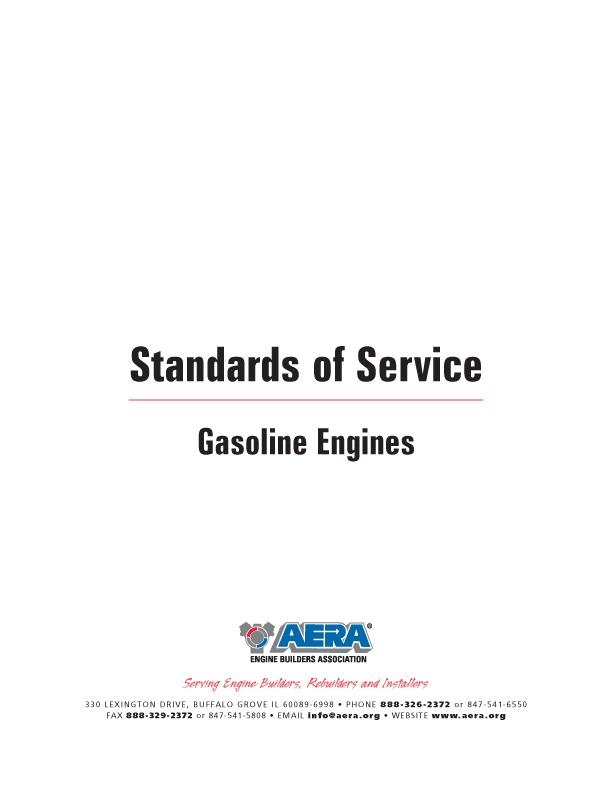 AERA Standards of Service for Gasoline Engines outlines industry standards which apply to the practice of rebuilding and remanufacturing of reciprocating spark ignition automotive and industrial engines which are used in conjunction with standard ancillary components in applications intended by the original manufacturer. 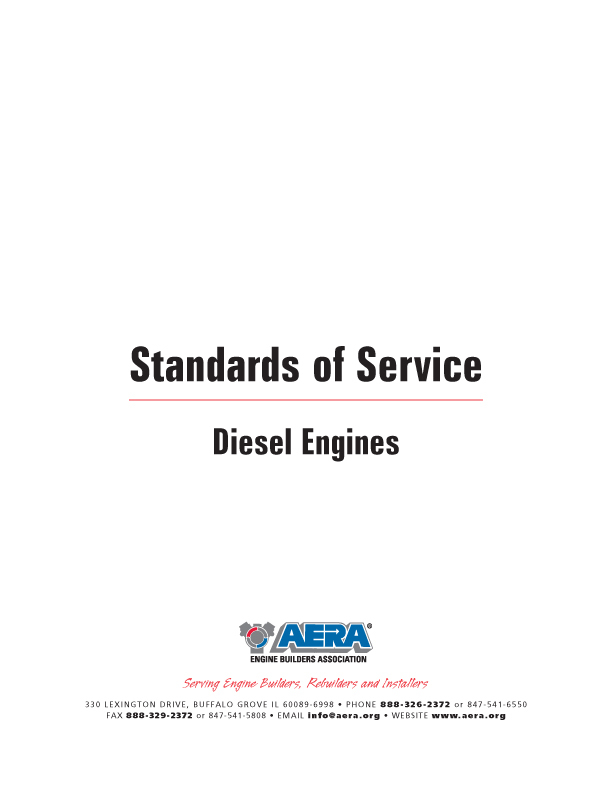 AERA Standards of Service for Diesel Engines outlines industry standards which apply to the practice of rebuilding and remanufacturing of reciprocating compression ignition automotive and industrial engines which are used in conjunction with standard ancillary components in applications intended by the original manufacturer. 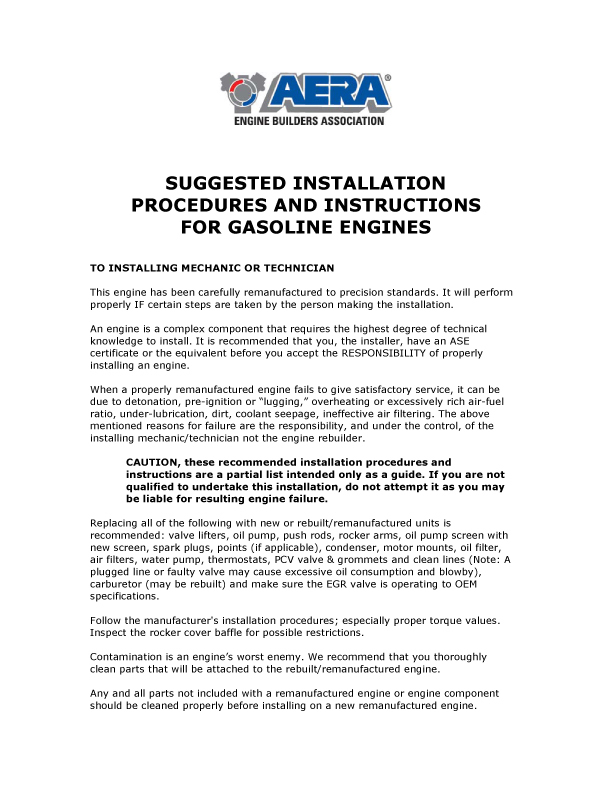 Suggestions for breaking-in and maintaing a newly remanufactured engine. 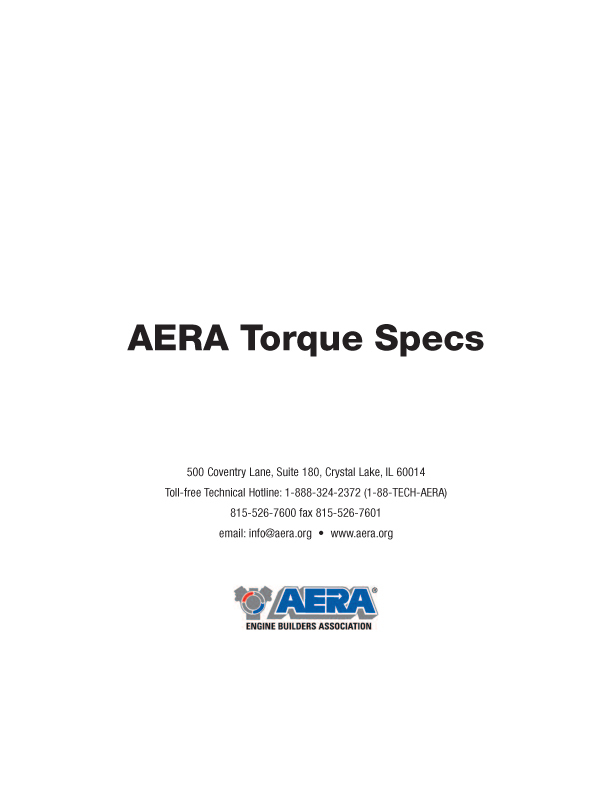 Booklet filled with torque specs pulled from the AERA PROSIS program. The environment is everyone’s business. 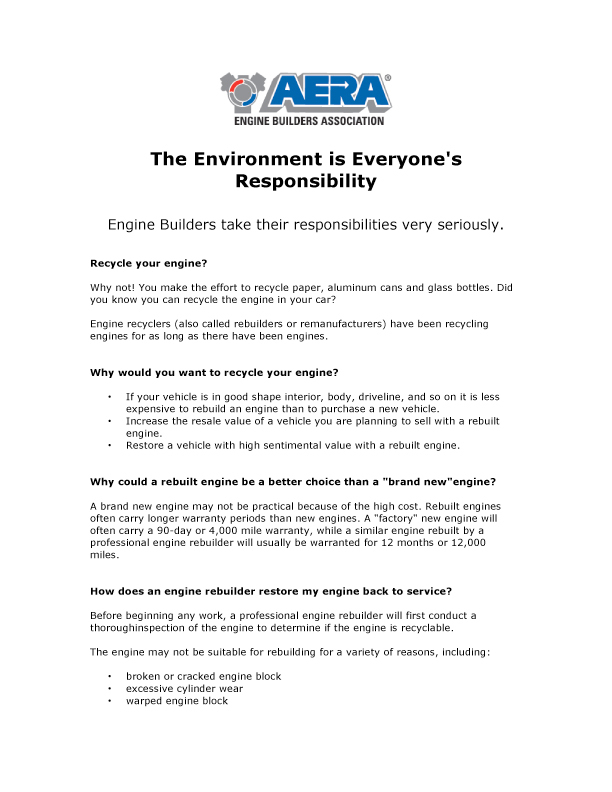 AERA has developed this awareness statement for the industry. 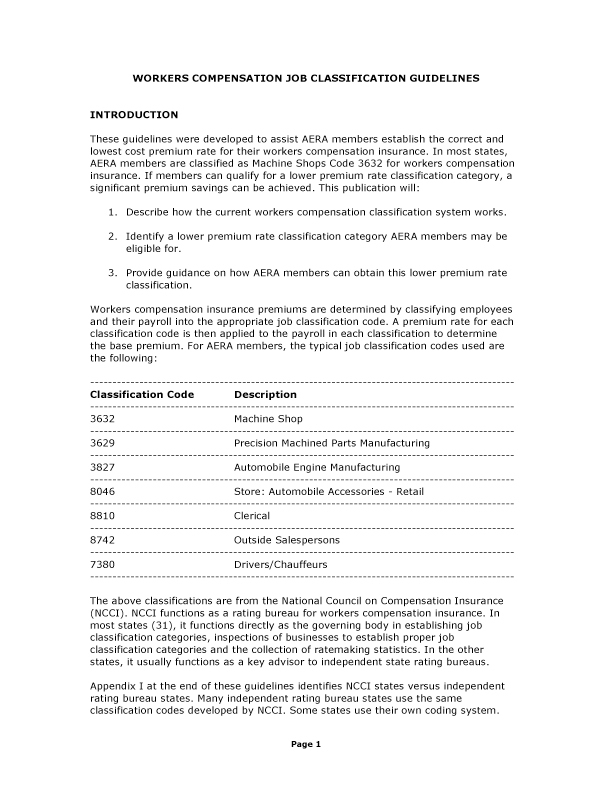 These guidelines were developed to assist AERA members establish the correct and lowest cost premium rate for their workers compensation insurance.